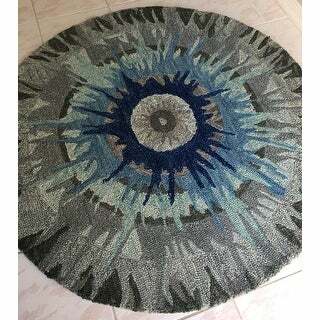 Rug is great quality. Just as pictured and described. Looks great with grey driftwood bench and sage green walls. It comes rolled, had to wait a day to settle. No funny smell. Quick delivery. Very happy with purchase. 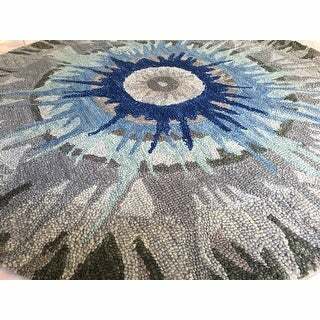 This is a beautiful area rug. It is a unique loop and cut-pile design. This Dazzle area rug features rich, warm earth tones that make an extraordinary first impression. This was meticulously hand-crafted by skilled artists in India. You have to feel it to believe the softness, and you have to see it to personally believe what a work of art it truly is. Dazzle truly is a must have for your home! Rug gripper recommended and extends the life of your rug, prevents shifting and sliding and protects hardwood flooring from scratches. Please Note: The digital images may vary due to differences in computer monitors, some rug colors may vary slightly. Cleaning & Removing Stains: Quick action following a spill is essential in order to keep a permanent stain from setting into your rug. For liquid spills, use a clean, undyed cloth and press firmly around the spill to absorb as much as possible. Do not rub! This will cause the stain to set deeper into the rug, making it harder to remove and increasing the likelihood that it will reappear. For hard to remove stains, professional rug cleaning is recommended. Dimensions 48.0 In. X 48.0 In. X 0.5 In. 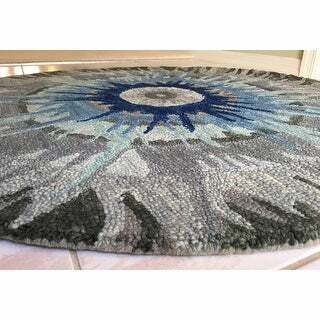 Really nice rug - the colors were a little more pastel than the pic - more subtle and not vibrant. 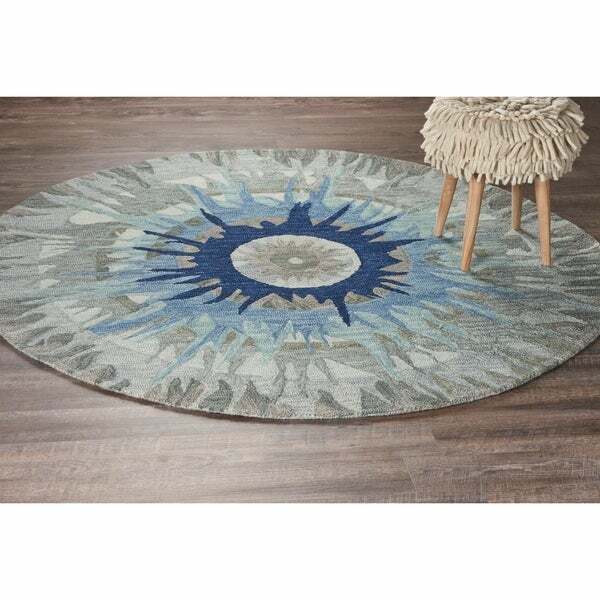 "Does this rug come in a 6×6 round and if not what rectangle rug would you recommend to go with 2 of these 4×4. Rectangle size would have to aleast 5'5" × 3'6', would really appreciate any feed back you can give me. Thank-you K."